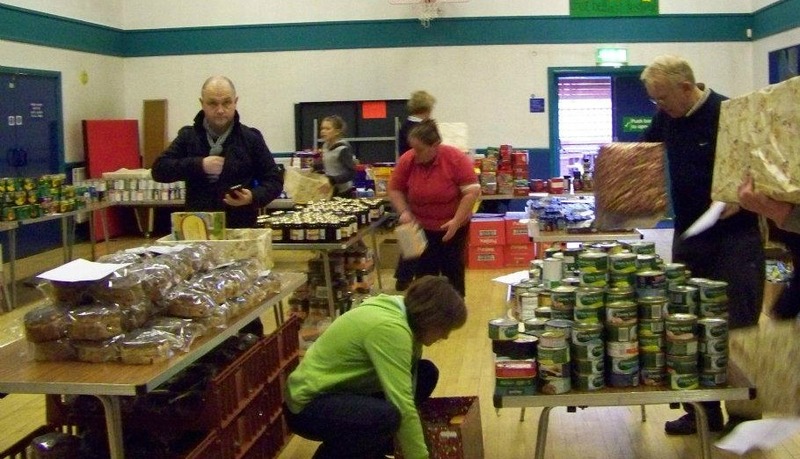 Neighbours in Need is a community project that East Belfast Mission has run before Christmas for the last several years. 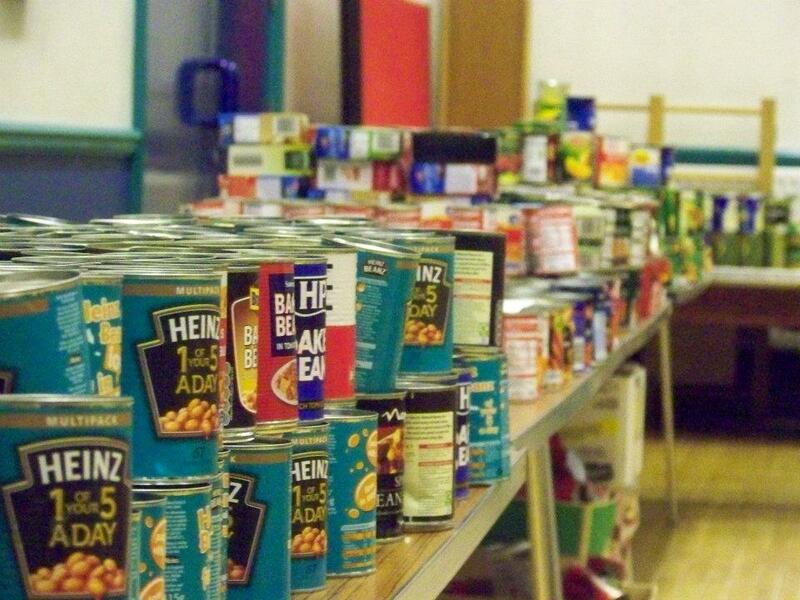 Boxes of food and basic necessities were distributed this week to 450 families in the local community. Donations were collected from the congregation, a number of partnering churches, schools, and from the community as a whole at the various projects of the Mission. The scope of the project demonstrated to us again how many people EBM touches within this local area. It is an outreach and help to those who find it more difficult to make ends meet as the weather gets colder. The phrase, “heat or eat” is used here in the winter to describe the predicament that some people face – and this simple but expansive project of the Mission is one practical way that God’s love is demonstrated in our community. The girls enjoyed helping wrap and fill boxes with food last Saturday. We joined dozens of volunteers who gathered from our congregation, other partnering churches, and the staff from the Mission. 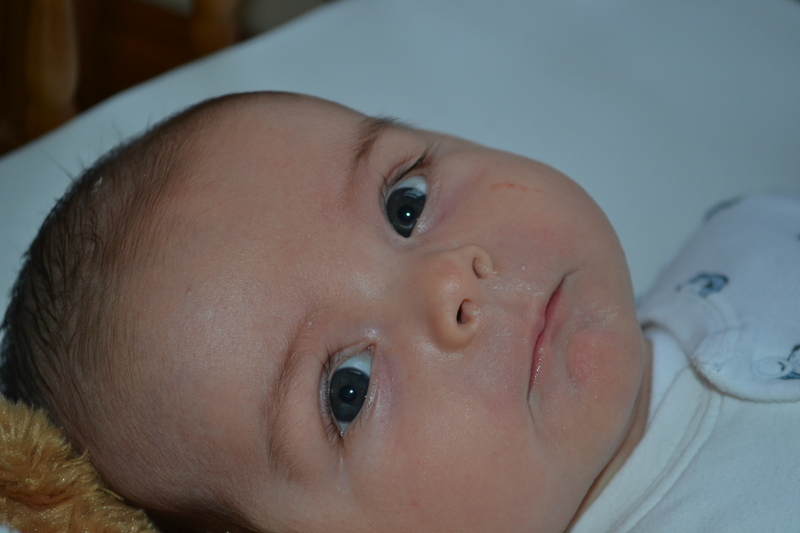 In other news, Jake is now two months old and doing really well. He is smiling and responding to anyone who will speak to him, and his sisters sure enjoy sharing a cuddle and a chat with him. We are amazed each day at the wonder of new life, and also grateful to be a part of a church community that is finding ways to express God’s love for it’s neighbours. Dang! Should have copyrighted those pictures! 🙂 I’ll be living off these blog posts when I return on Dec 19th. I’ll miss you guys! Allison, I don’t have your mailing address but have a wonderful Christmas with your little girls and new baby. Toni and I are working like crazy at the clinic. We are totally booked. You need you here.